For individuals, everything from how you run you personal life, take on new job opportunities and how others have a perception of you first come to mind. From a business and brand perspective, it's more about customer loyalty, bringing in new sales and how negative online reviews and content can influence buyer decisions. No matter what area of reputation management you are looking at, it's important to appreciate and follow through on the advice given by experts within our industry. This is exactly why we continue to bring you some of the smartest minds in the industry when it comes to monitoring and repairing your online reputation through our weekly "Ask the Reputation Management Expert" series. This week we have Chris Martin of Repumatic. Q: Please tell us a bit about yourself and how you got into the reputation management space. A: We started out offering reputation management services in 2007 under the name ReputationHawk. It’s a boutique firm where we usually run campaigns for 20-40 clients at a time. In 2010 we started working on automating some of our internal processes and we launched the first version of Repumatic. Repumatic is a streamlined, fully transparent, low cost system that can be used as a Do It Yourself platform or 100% turnkey low cost concierge services. Q: What is an online reputation specialist and why are they now so valuable to businesses and brands? A: I think it’s someone who can provide a solution for any online reputation problem or need. I think an online reputation specialist should also be able to provide insights and know where to point people if their service offering is not ideal for the specific project. 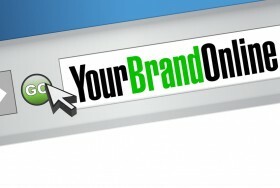 Q: As an individual or brand, what is the best way to find out what people are saying about a specific name/brand online? A: You can really just take your pick. There are so many solutions for Reputation Monitoring out there these days. You can use Google alerts or something more robust. Andy Beal has a good one with Trackur. In Repumatic we offer free reputation monitoring. We break it up into three categories with a defamation monitor, social, and review monitoring. Q: When negative content, complaints or reviews are found, what is the best action to take in regards to resolving the issue and possibly getting it removed? A: It’s a tough landscape. First you have to deal with trust algorithms in search engines that can favor sites like Yelp, Ripoff Report and others. Then you have to deal with negativity bias, a psychological phenomena where humans are attracted to negative information. IE Company is great / Company is a scam! (Which one would you click on?) So you have negative reviews on sites that already have high trust scores in search engines and those search engines track users clicking those links. Of course we do that because of our engrained negativity bias, but search engines don’t know that. The web sites hosting negative content just end up with higher relevancy scores. It’s a tough combination for businesses and can drive negative reviews to the top of search results in a hurry. If you don’t have any negative reviews then keep building your online presence as a proactive measure and hope your luck continues. Sooner or later though as you get more exposure and volume you will end up with a wacky customer or unethical competitor bashing you online. If it’s a major site like Yelp or Google reviews then hopefully they used bad language. Then it’s just a matter of flagging them for being inappropriate. If not you have to encourage customers with positive experiences to post reviews. This is more in the realm of band aids than permanent fixes. If the post is really damaging and you aren’t that big yet then you may need to consider rebranding under an alternate name. If you do so make sure to build out your online rep in advance. 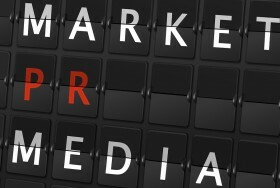 Most other unwanted publicity can be suppressed in search engines with a strong reputation management campaign. This can however be cost prohibitive. Reputation Management companies typically charge anywhere from $500 - $10,000/Month. The Repumatic service is $199/Month but even that can be a stretch for some small businesses. If it’s a clear case of defamation and the poster left an online footprint then you can of course pursue a defamation case. Once the case is settled you can send the court order to Google and other search engines with a request to remove the reviews/links. This process unfortunately involves a lot of time, stress, and money and can get a little mind boggling tracking down every scraper site with an automated bot that reposted the content on sites hosted in places like Russia, Taiwan, etc. Q: Of all the review sites online, which are most harmful to a brands reputation and how should they be approached? 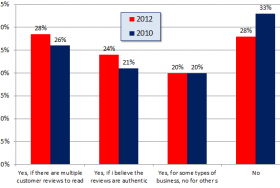 A: Yelp and Ripoff Report have had favor in search engines for quite a while. But it can really be any site. Someone could launch a new site on blogspot and fill it with allegations, photos, etc and it can move into the top 3 under the individual or business name in search engines. The important thing to remember is most negative publicity can be suppressed. 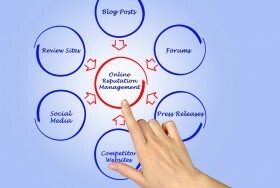 The concept is to make your search results competitive. If your name is Bob Smith Inc. You want to make the Bob Smith Inc search results competitive with new, fresh content on a variety of web sites. Fortunately the negative press is going to get more and more outdated. Even in cases of online stalkers, they grow tired after a few months of posting and move onto something else. Search engines do have algorithms like “QDF” Query Deserves Freshness, so you can use that to your advantage. As long as you keep creating quality content and don’t give up, you should see the unwanted info start to fall onto page 2, 3 and lower in your search results. Q: How is social media changing the way brands need to monitor what is being said about them outside of the search engines? Q: For an individual or brand that wants to take action right now, what is your best advice on how to research, analyze and improve one's online reputation? A: If you have some funds to work with and are short on time then hire a reputation management service. If you need to go 100% DIY then remember to adopt the mindset of building a network, not a single site with some links. Remember this one thing and you should be good – I need to create multiple sites on multiple hosts with unique content that I keep updated. Special thanks to Chris Martin for taking the time to share his expertise with our audience. 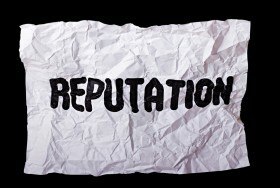 Be sure to continue to read OnlineReputation.com for the latest news and actionable tips to improve your online reputation, while also seeing who our latest featured ORM expert is each week!